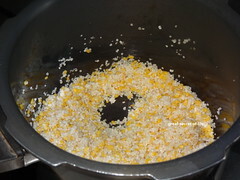 These days I have started using Millet instead of rice as I don't really find any difference in the taste. 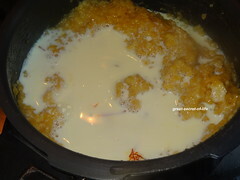 After foxtail millet sweet pongal / Thinai sweet pongal I wanted to try millet based Akkaravadisal. 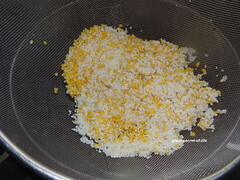 I Find kodo millet is comes very close to the taste of rice in most of the millet recipes and people cannot even find the difference. 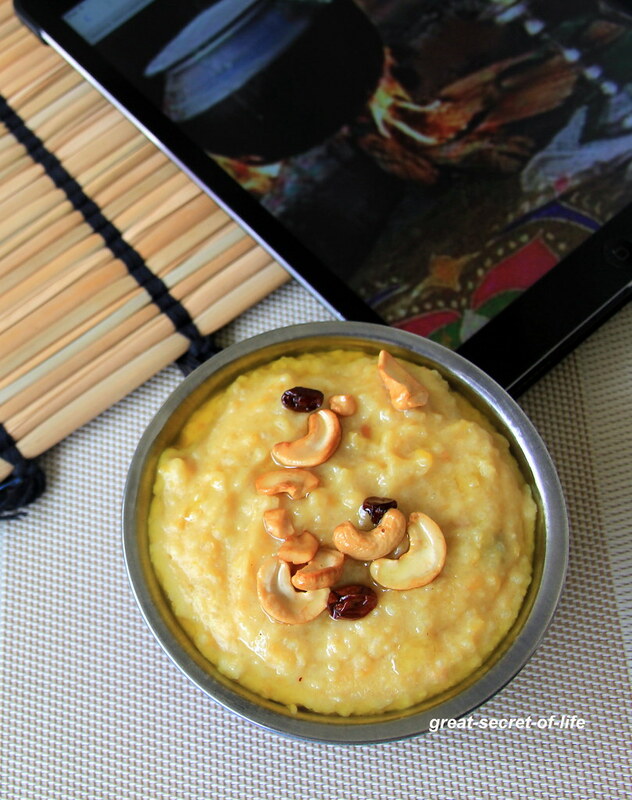 Give it a try and celebrate pongal with a millet recipe.. 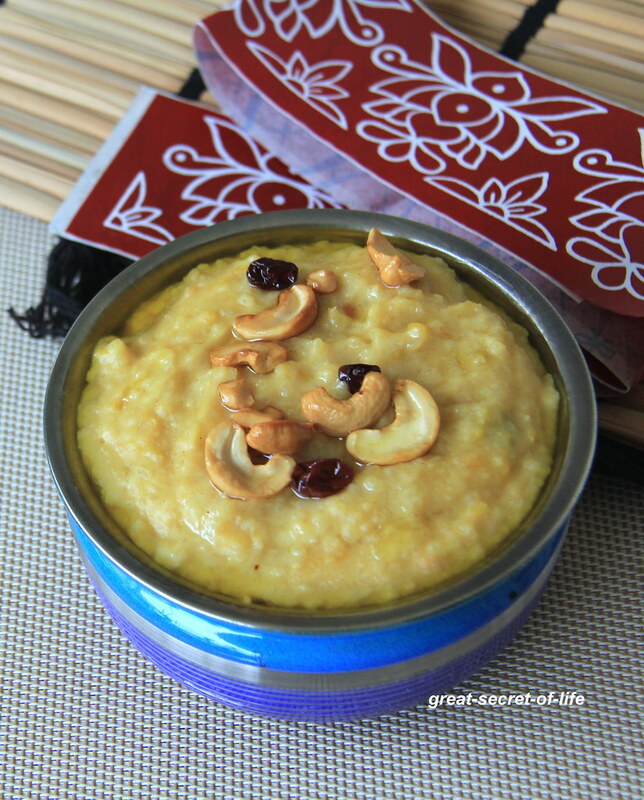 Happy pongal to all the readers! 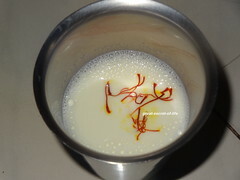 Soak Saffron in warm milk Keep it aside. 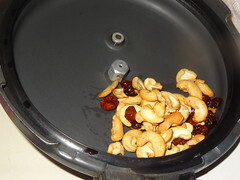 Heat the ghee and add cashew, Raisins (if using) Fry till slight brown in color. Remove it and keep it aside. 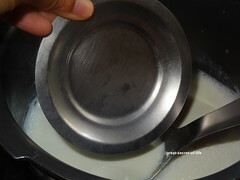 Add small plate (to prevent milk from overflowing). 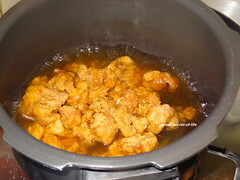 cook it till 5 whistles in medium low flame. 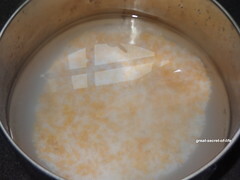 Heat the jaggery with water and drain it to remove the impurities. 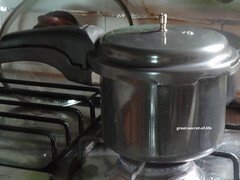 And return it and boil it till it it bit thick. 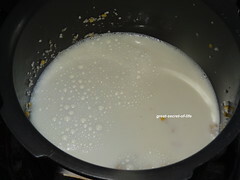 Add Jaggery and mix well. 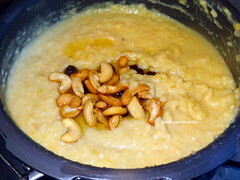 Add saffron, cashews and remaining milk. Mix well. 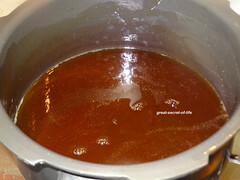 Cook it in low flame for another 5 mins. Never had anything like this..but I love millet. Wish I could taste some. 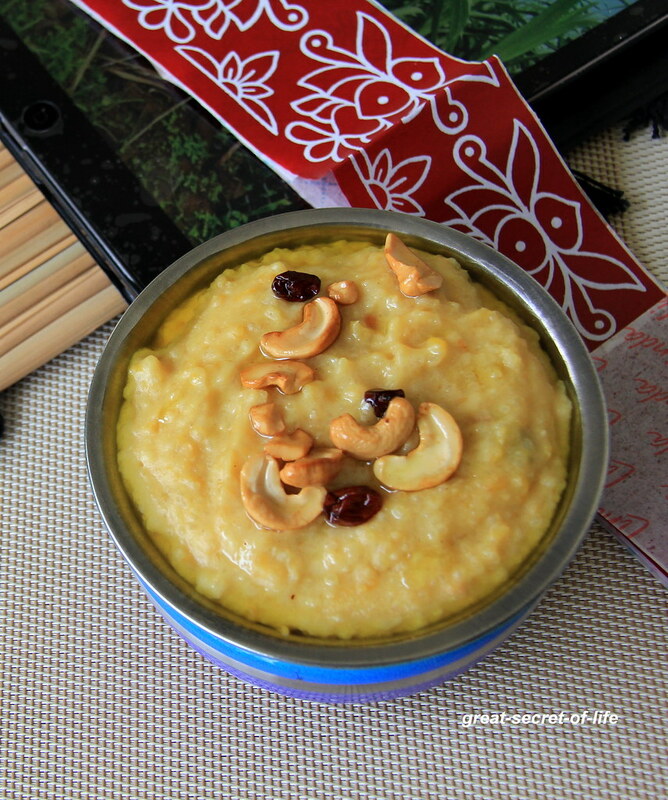 yummy and healthy pongal!! happy pongal to u Veena!! 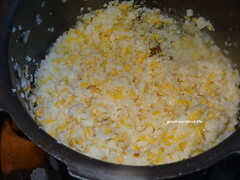 very delicious looking Pongal. Happy Pongal.